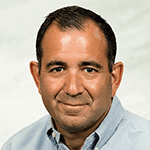 Mike Montalbano is a seasoned business executive with over three decades of experience in executive leadership/strategy, in addition to marketing and executive development/mentoring. Previous positions ranged from Vice-President, Marketing to CEO for a variety of firms ranging in size from $60M to $10B, as well as a board member at several privately held multi-million dollar companies. He has significant international expertise in growth strategies, database marketing, merchandising, advertising and corporate strategy. Montalbano’s current primary engagement is as an adjunct faculty member in the Mendoza College of Business at the University of Notre Dame. Prior to Mendoza, Montalbano taught at Bentley University for 12 years.